Distribution : Found throughout Europe east as far as the Ukraine. North to Sweden and South to Morocco. 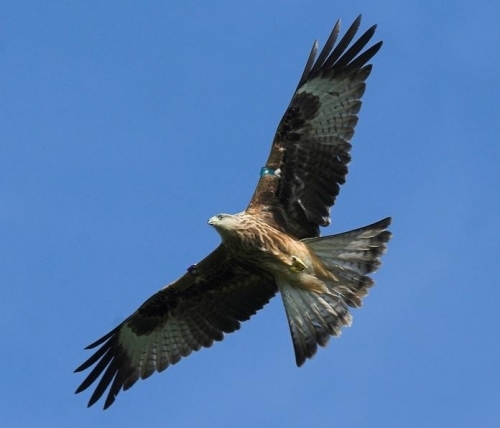 The Red Kite is endemic to the western Palearctic, with the European population of 19,000-25,000 pairs encompassing 95% of its global breeding range. It breeds from Spain and Portugal east through central Europe to Ukraine, north to southern Sweden, Latvia and the UK, and south to southern Italy. Populations also breed in northern Morocco. Populations winter within the western breeding range, as well as in isolated patches southeast to Eastern Turkey and south to Northern Tunisia and Algeria.